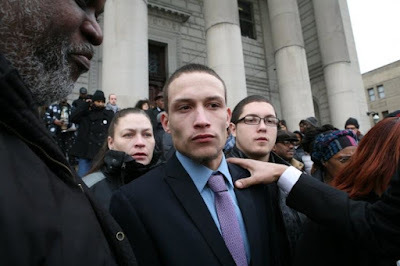 The man Ramsey Orta, 25, a friend of late Eric Garner is reportedly heading to jail to serve a four-year prison sentence after taking a plea deal a drug and weapons case. 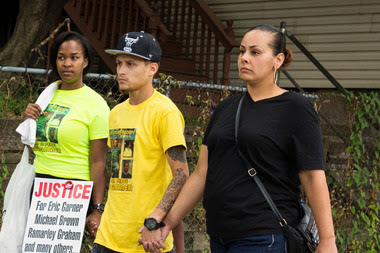 Could he have been a target for the footage of the police killing he filmed and release? At the end of this post is a link to a petition site to end police brutality and all that comes with it... Please endeavor to sign! Orta filmed police officer (Daniel Panteleo) in New York kill his friend Eric Garner, 43. Ever since the release of the footage, Orta says he has become a target by the police, in retaliation for the footage, - that exposed the much speculated police brutality against African-Americans in United States of America. "I can't breathe, I can't breathe, I can't breathe, I can't breathe, I can't breathe, I can't breathe, I can't breathe, I can't breathe," - Garner reiterated on the floor as officer Daniel Pantaleo strangles him to death with a chokehold. Though the case was ruled as a homicide but the murderer officer Daniel Pantaleo was not indicted... In my opinion, this officer deserves to be indicted and prosecuted duly, at least to deter other officers from these police killings and brutality. Orta has incessantly been harassed by the police his lawyer argued and has been arrested at least eight times in less than two years. "Hours after Eric died, at 4 a:m in the morning, there was a spotlight shining through my window. I looked out the window and there was a cop [police] car outside," Orta told Al Jazeera on Friday. "They parked outside my house and stopped people coming in and out of my house. That was going on until the day they ruled it (Garner's death) a homicide. I've been arrested and let out many times. And now I am convicted of only two of seven cases." 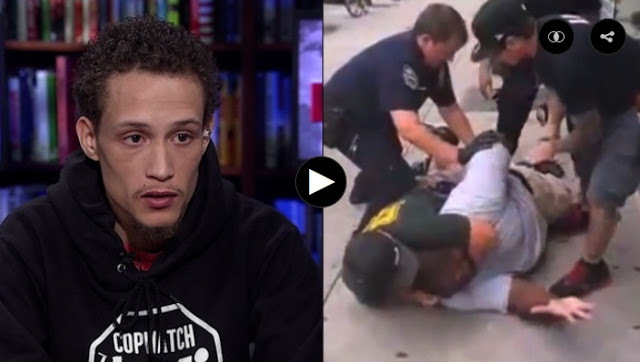 Orta is suing New York City for $10 million for unwarranted arrests by NYPD that he says were attempts to discredit his video of Garner's final moments. 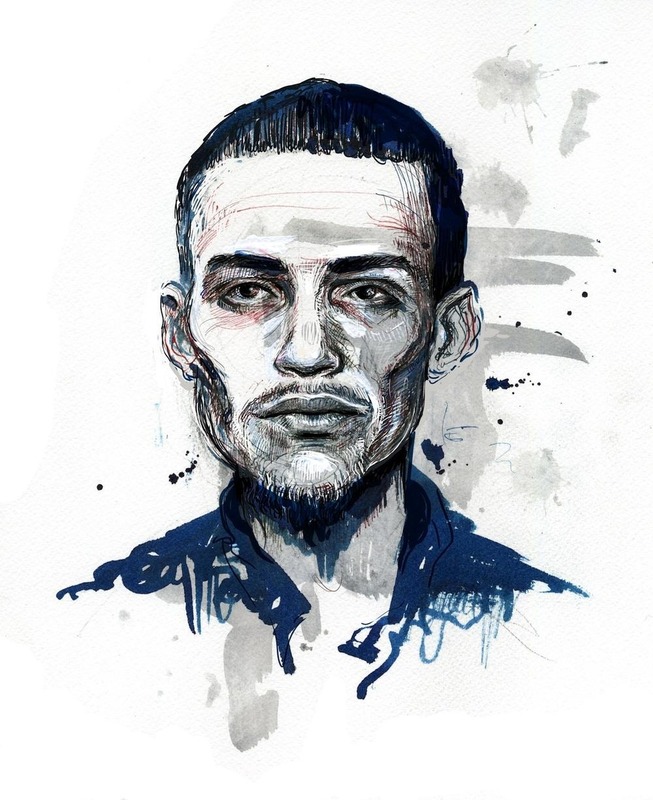 "My biggest fear about prison would be not coming out alive. I fear for myself being behind enemy lines." "I'm going in there with a level head. I'm praying that I can come right out and continue my life as an activist." Stanley Cohen, a New York based lawyer and former social worker said Orta's case was an example of "vicious, retaliatory and vindictive" intimidation. "They want to create an environment where people are terrified to speak up and out and be good citizens,"
"It's harassment not to undo the events of the murder of Garner as is it to deter the next filming of a police killing." The police department reportedly killed 346 African-Americans last year and has killed 217 so far this year. "I expected this police killings to end up where it is now, it's only gotten worse since it started. I knew from our past history that that video wasn't going to change anything," - Orta said. "I don't want my situation to be a deterrent to people who continue to film, though I encourage others to take a stand." A petition by The America Civil Liberties Union calling on US Attorney General Loretta Lynch to investigate harassment cases has gathered over 20,000 signatures.